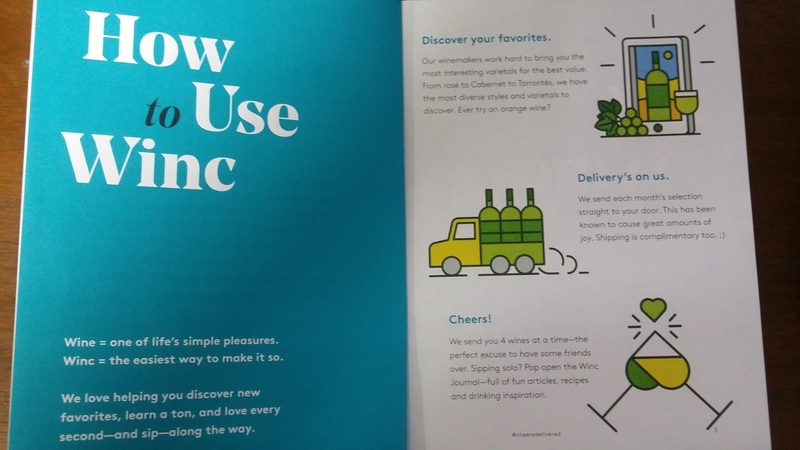 Winc Review by Hana Haatainen-Caye | A monthly subscription box for wine? Yes, please! Those who know me, know I love a good glass of red wine. I'm especially a fan of blends. Cabernet/merlot. Malbec/syrah. Petite syrah/cabernet/shiraz. Yeah... the more the merrier. 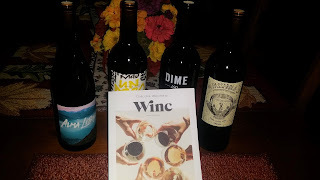 When I heard about Winc, I was thrilled; especially when they agreed to send me four bottles to try out their subscription service. I mean, really... how could I refuse? When you join Winc, you receive a monthly box containing four bottles of wine delivered right to your door. And one of the great features of Winc is that the shipping is FREE. Yep. You don't pay anything for this wine-to-your-door service. And let's face it -- that's something you busy moms can appreciate once your kiddos are all tucked in for the night. Ahhh... it's time to relax in front of the fire with a glass of Merlot and your honey. Or slip into a hot bath with a chilled Chardonnay and a good book. Wait... did I take that mom-has-time-to-herself thing a bit too far? Then you definitely deserve a glass of wine now and then! Anyway, grandmas like me appreciate Winc. As do grandpas. And busy dads. And single folks curled up on the couch with some popcorn and a Netflix marathon. I really enjoyed each bottle I received, which I selected from the website. My only issue was that most of the wines were from California. Ever since the news about California wines being tainted with glyphosate (even the organic ones! ), whenever possible I've chosen wines from Chile, Australia, Italy, France, etc. I just prefer to not ingest Roundup, you know? I did choose one California wine, however, and it was quite good. The cool thing is you can choose which four bottles to receive or you can let them surprise you. Surprises are fun, right? The box I received included a funky little book welcoming me to Winc. 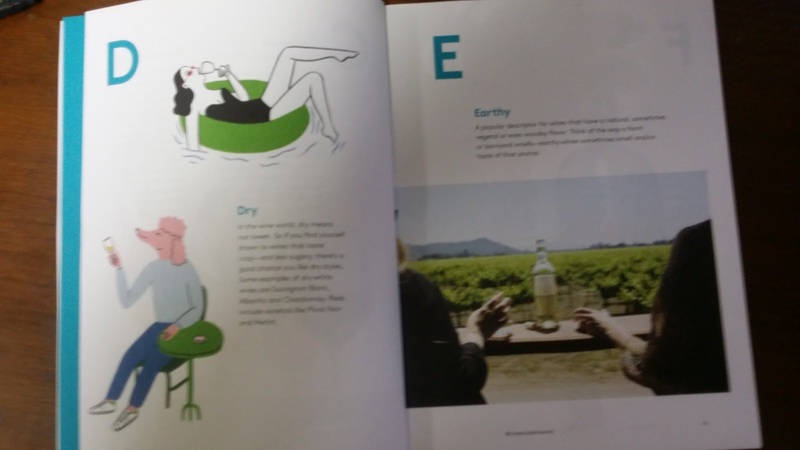 It was an A to Z guide to wine with lovely photos and whimsical illustrations. A little light reading for me while I sat down to enjoy my first glass of full-bodied red. What a great combination. To be honest, there was one thing I did not like about Winc. That was the late night text message I received at 10:36 p.m. to let me know my Winc wine was on its way. Not cool. Now they clearly state on the website that they will send shipping updates between 8 a.m. and 10 p.m. and you can opt out of the text messages, but obviously they hadn't taken my time zone into account when they sent it. I was not a happy camper. I mean, seriously. At least you can opt out and not be disrupted by unnecessary texts. 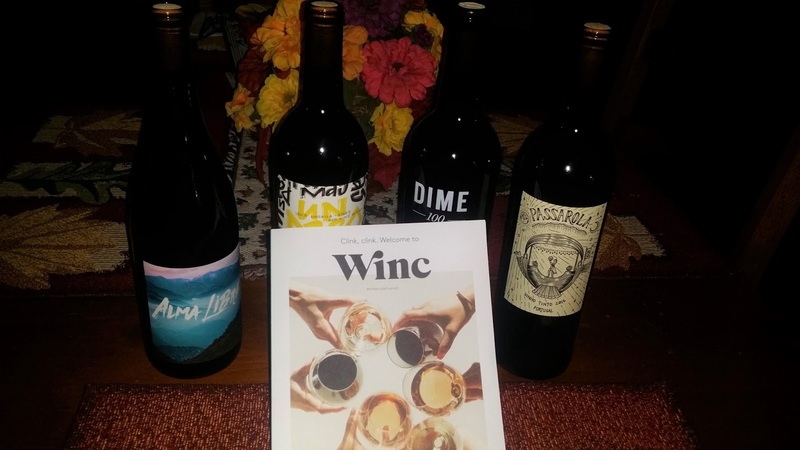 If you're looking for a great gift for the wine lover on your gift list who seems to have everything or who doesn't need more stuff, consider a Winc subscription or gift card. Bottles start at just $13 and the gift cards start at $60 which allows the recipient the chance to choose the red or white wines that best suit their taste. It's better than another sweater, right? But it get's better! You can save $22 off your first month of Winc. Just click this link to access your savings! And, of course, I can't write this post in good conscience without including the warning to drink responsibly and to not drive while doing so (or afterwards, for that matter). But that's one of the great things about Winc -- it comes to you while you're in the safety of your home. Cheers!